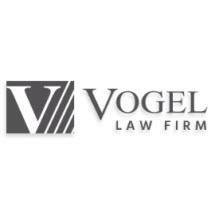 At Vogel Law Firm, our general practice team provides focused legal representation to individuals and business clients. We have office locations in Fargo, Bismarck and Grand Forks, North Dakota, as well as in Moorhead and Minneapolis, Minnesota, allowing us to serve clients throughout North Dakota and northwest Minnesota. For the convenience of those we represent, our firm accepts credit cards. Offering a breadth of legal knowledge and experience, our full-service law firm team handles a diverse range of cases, including those involving business law; criminal defense; family law; personal injury and wrongful death; agriculture and cooperatives law; oil, gas, water, energy and environmental law; commercial litigation; commercial transactions and securities; employment and labor law; health care law; immigration law; estate planning and probate; insurance law; professional liability; and real estate law. At the beginning of new matters, our team reviews with clients their legal situations and needs. We advise those we represent of their options and work cooperatively with them to craft the best solutions possible for their legal problems. Tracing our roots at Vogel Law Firm back to the 1800s, we commit to provide quality legal services in a respectful environment. When clients work with us, their legal matters will be handled with the utmost professional integrity. Although we are one of the largest law firms in the tri-state area, our team provides the personal attention and customized guidance our clients need and deserve.